This is the year of the Great British holiday, whether it’s a short break or a longer holiday you’re after. That’s what the EnjoyEngland campaign is telling us, especially with the Olympic Games and the torch relay, and the Diamond Jubilee all happening this year. Tea parties in England’s green and pleasant land, pageantry in London, rugged rocks, beach bumming – its all available a car or train ride away. Just an hour and twenty minutes by high-speed rail from London, the Isle of Thanet is the perfect place for a quick getaway. Where, you ask? Thanet, on the eastern most point in Kent, incorporates the classic – and original – seaside resorts of Margate, Broadstairs and Ramsgate. 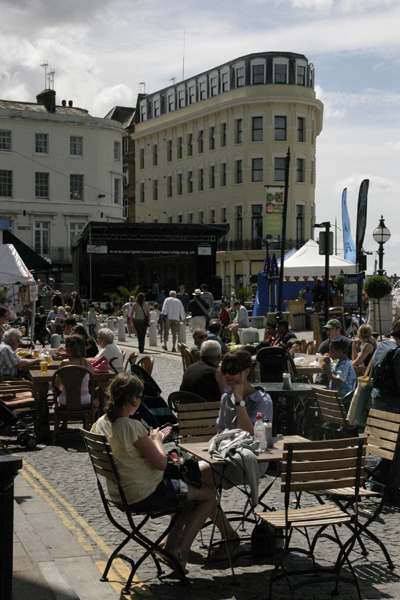 This is the first in a three-part feature looking at the three quintessential seaside towns. 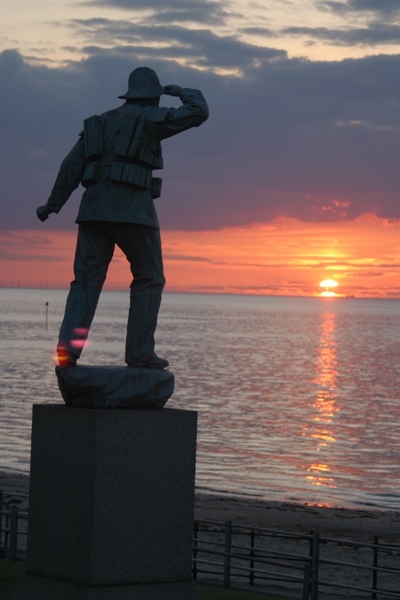 The original seaside resort, Margate has attracted visitors for over 300 years. It was the fashionable haunt of royalty and aristocracy in Victorian times, becoming a popular resort for working class Londoners by the mid-twentieth century, and then going into decline as British holidaymakers discovered guaranteed Mediterranean sunshine. The decline and what it left in its wake – crumbling iconic architecture, boarded up attractions, and deprivation – has left a mark on the British psyche that has been hard to erase. However, the British seaside is making a comeback and the proof, as they say, is in the pudding. All over England’s coastline, millions of pounds are being spent to bring faded seaside resorts back to life, and Margate is a brilliant example of this. 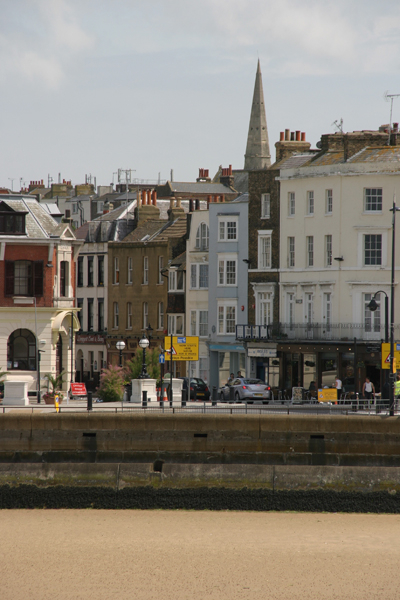 Look beyond the remaining boarded up shops (which some may consider add a gritty edge to the town), and you’ll see the stunning Victorian and Edwardian architecture that once made Margate a genteel haven from the big smoke. 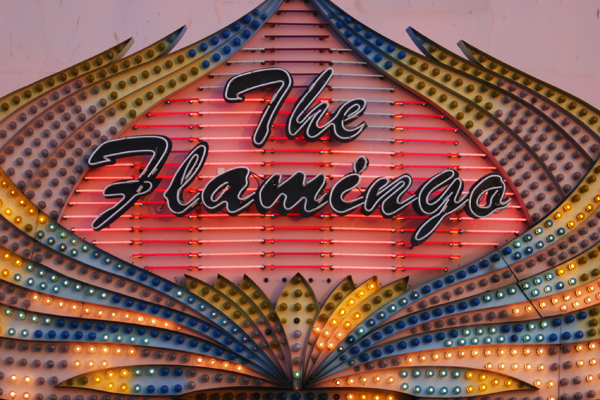 Past the amusement arcades with their nostalgic neon lights, an Old Town is throbbing with an artistic vibe. The golden sands and beach entertainment have survived, but Margate has brought the British seaside experience right into the 21st century. 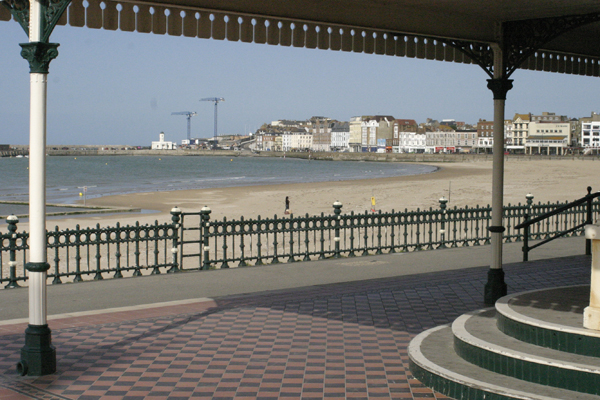 Margate Main Sands, with its sweeping golden bay, is wonderful for nostalgic family fun. Swingboats, sand castles, seabathing, seafood stalls and the small strip of neon-lit amusement arcades will take you back to the heyday of the British seaside. And there is so much more to see and do. 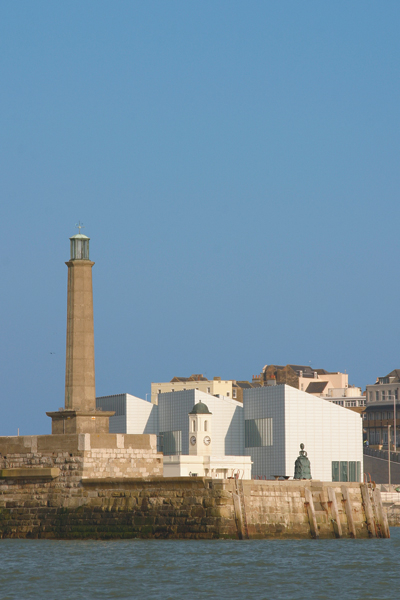 Last year, a major national art gallery, the Turner Contemporary, opened, and Margate’s transformation was given a massive boost. Sited on the seafront spot where JMW Turner stayed when staying here, and from where he declared that “…the skies over Thanet are the loveliest in all Europe”, the gallery has brought visitors from far and wide. The presence of this iconic building, designed by award-winning architect David Chipperfield, has imbued the town with a cosmopolitan air. 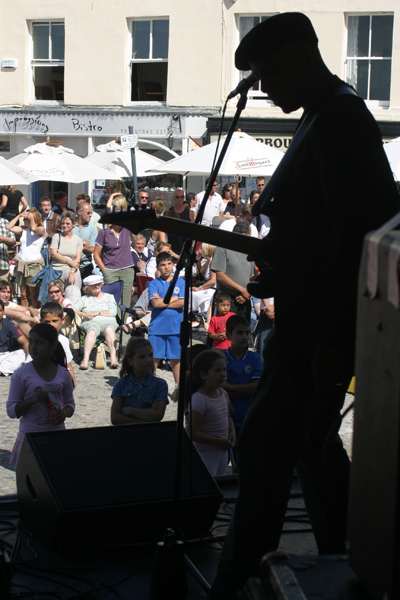 On fine days, tables and chairs spill out onto cobbled squares and pavements in the Old Town and along the centuries-old harbour arm, and through the spring and summer, music festivals bring live jazz and soul on open-air stages on the piazza. It’s a great time to visit if you like a fiesta. But Margate has a lot to offer out of season too. Its beautiful Old Town is full of art galleries and independent shops, where you can rummage for vintage and retro clothes, furniture and objets. Not to be missed is the mysterious Shell Grotto, where you can walk through 70ft of winding underground passages covered in 4.6 million shells, making some 2000 sq ft of mosaic. Maybe you’ll find the clues to its origins – an ancient temple or a Regency folly? A few miles down the road in Birchington, is Quex Park, a country estate with a Georgian country house and acres of parkland and trees. Its most unique feature is the Powell-Cotton Museum, an important taxidermy collection of African and Indian wildlife set in Victorian dioramas. If you fancy a show, you have the choice of the Theatre Royal the second oldest theatre in the country, the Winter Gardens or the diminutive Tom Thumb Theatre, the smallest in the country. A walk or cycle along a section of Thanet’s 26 miles of coast, with its promenades and cliff top paths will leave you refreshed and exhilarated. You can make it as short or as long as you want, but if you have time, the 7.5-mile route from Margate to Ramsgate via Broadstairs takes in 15 glorious sandy beaches and bays, white cliffs and three vintage seaside towns with very different characters. The best time to do this is a couple of hours after high tide, but do keep an eye on the tide. There are also plenty of great watering holes en route. 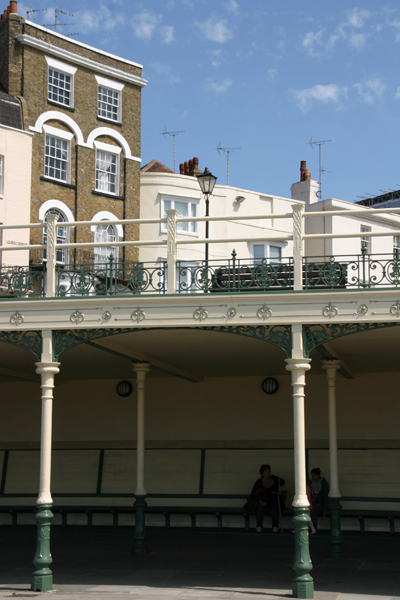 Alternatively, you could take a guided walking tour around Margate, and discover its history and architecture. You can get more information at www.visitthanet.co.uk/greeters, or www.historywalkers.co.uk. Margate has some fab places to eat and you could get very greedy, finding somewhere to indulge at every meal and snack time! If you’re feeling really decadent, you could start your day with the full English (veggie option too) in the bohemian Harbour Café Bar, also the hub for the Margate Jazz Scene. For morning coffee, you could head to the very cute Cupcake Café in the heart of the Old Town, with its imaginatively flavoured cupcakes and retro kitchen paraphernalia. Lunch at the cute Greedy Cow, with its delicious piled high burgers, or for stunning views go to Bebeached, on Margate’s Harbour Arm. You’ll love its menu of delicious and original dishes, which use fresh, local (often from allotments) and organic ingredients. If you’re visiting on a Saturday, don’t miss afternoon tea at The Mad Hatter, where you can tuck into fine cake and drink tea from vintage porcelain in an eccentric eternally Christmas Victorian interior. Back to the end of the Harbour Arm for pre-dinner drinks at the Lighthouse Bar, from where you can watch the sun go down, or to The Lifeboat in the Old Town if you’re a real ale fan, and then dinner at the Ambrette, listed in the Michelin Guide for its contemporary Indian cuisine. On Friday and Saturday evenings, the Rendezvous restaurant at the Turner Contemporary, has a great contemporary British menu. 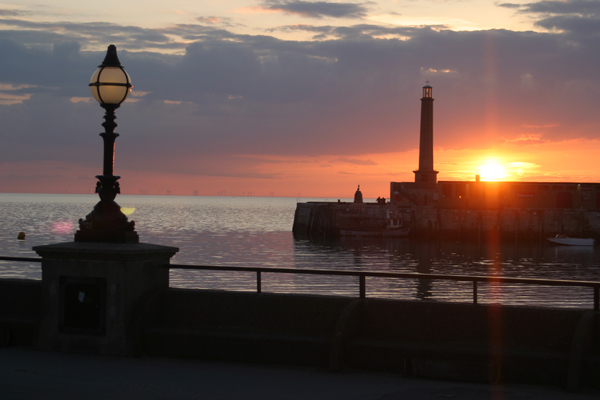 You can dine here and have panoramic views of Margate and its twinkling night-time lights. For the ultimate in chic boutique luxury, stay at the Reading Rooms, (tel: 01843 225166). To experience the Edwardian heyday of the British seaside, go to Margate girl, Tracey Emin’s favourite place, the Walpole Bay Hotel (tel: 01843 221703).